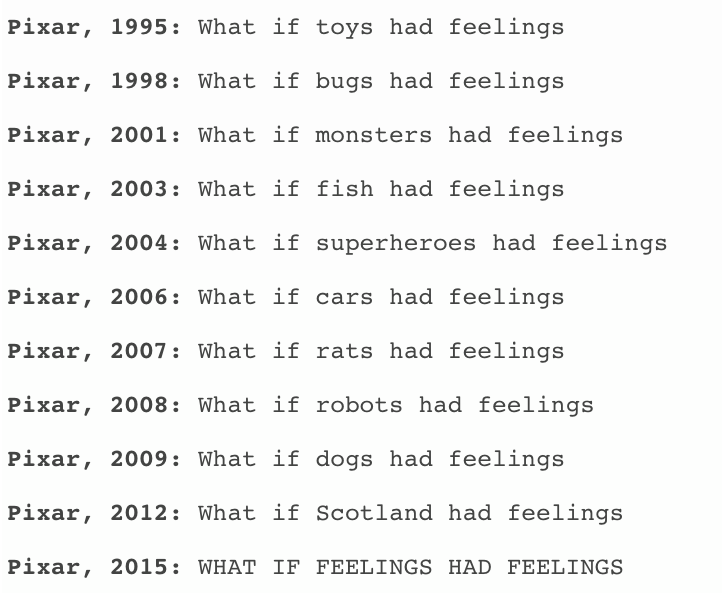 After dealing with toys, bugs, monsters, fish, cars, rats, robots, dogs and superheroes, Pixar now makes a movie on human emotions. And boy, it was fun to figure yourself Inside Out. 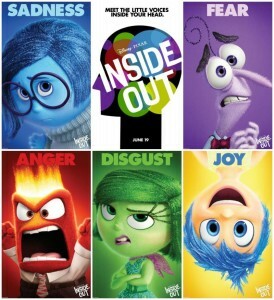 Directed by Pete Docter (who had earlier directed two of my favourite Pixar films Monsters, Inc. and Up), Inside Out showcases the story of five emotions inside the head of an eleven year old girl, Riley. Joy, who happens to lead the pack, wants to ensure that Riley always stays happy and joyful; but she doesn’t realize that Riley can’t stay joyful if it were only up to her. Yes, Joy is important, but what’s the fun of Joy if you’ve never experienced Sadness; or for that matter, Fear, Disgust or Anger. While it might seem too intellectual, Pete does a brilliant job of portraying this message. Young kids in the theatre were appreciating almost every scene, and their Joy made sure it was apparent. There are tons of moments in the movie; be it mother’s interactions with father’s emotions, or the reactions of a young boy’s emotions when he bumps into a girl, it’s all depicted beautifully. Screenplay is simple yet effective. Amy Poehler, Phyllis Smith, Bill Hader, Lewis Black, and Mindy Kaling bring Riley’s Joy, Sadness, Fear, Anger and Disgust to life. I especially loved Black as Anger. Music by Michael Giacchino is enjoyable, and editing by Kevin Nolting is neat. While the 3D effects aren’t spectacular, no qualms on the CGI work. Worth mention: The beautiful narrations; and the islands. 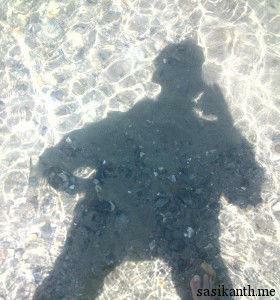 PS: I loved this pic!